Foosball is an all-time Pub Games favourite and can now be hired from Altitude Events alongside a wide range of other popular Pub Games – Pool Table, Table Tennis, Air Hockey, Bar Skittles, Skittles/Bowling, Double Hoop Basketball and Connect 4. Foosball Table Football hire and our Pub Games packages are perfect for Corporate Events, Evening Events, Parties, Family Fundays, Weddings and Christmas Parties. Although based out of East Sussex, Altitude Events Foosball Table and Pub Games hire packages are available for hire throughout the Southeast to West Sussex, Surrey, Kent, Hampshire, London, Essex, Berkshire, Buckinghamshire and Hertfordshire. 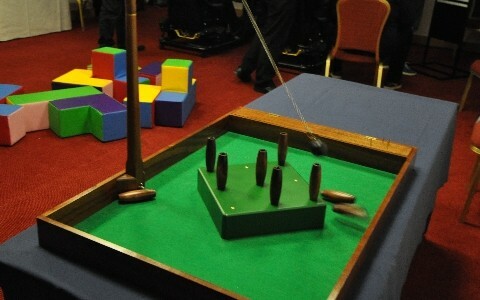 Foosball and Pub Games hire packages include £10 million PLI and risk assessments. If you would like to hire the Foosball Table Football it will require a flat undercover area of 3m x 3m. Due to the size and weight of the Foosball Table it will need to be wheeled into place on a trolley so please contact us in advance of a booking with any possible access problems such as stairs, steps, narrow doorways, gates, etc. 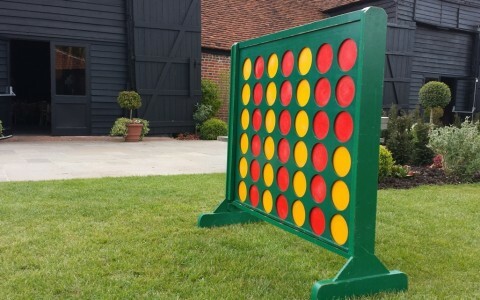 Players must be tall enough to hold the bars and see the game table to play. The Foosball table is very heavy and will need to be wheeled into position on a trolley so we cannot take it up and down stairs. If you can’t see the answer to your Foosball Table Hire question(s) below, please do not hesitate to contact us on mail@altitudeevents.org or on 0330 133 0900 / 07832 227 571. How many people can play the Foosball Table? The Foosball Table is a two to four player game, dependent on the game selected. Can anyone use the Foosball Table? Can the Foosball Table be used outside? The Foosball Table is suitable for outdoor events. It requires 2m x 2m of space in a sheltered area or marquee to protect it from the weather. Can the Foosball Table be used indoors? The Foosball Table is suitable for Indoor events. It requires 2m x 2m of space. The unit is large and awkward to carry so please let us know whether there are long distances to carry it or any steps/stairs/lifts/doorways etc to navigate with the equipment as complicated set up routes may increase set up time or require additional staff which will increase the hire costs. Does the Foosball Table require a power supply? No, the Foosball Tables do not require a mains power supply. Do I need to supply anything or does the Foosball Table come with everything it needs? How long does the Foosball Table take to set up? Depending on ease of access, the Foosball Table will take our staff approximately 15mins to set up. Does the Foosball Table come with someone to run the activity? How safe is the Foosball Table? How much does it cost to hire the Foosball Tables? We will tailor make each Foosball Table hire quote to the specifics of an enquiry. The Foosball Table hire cost is dependent on factors such as your location, length of hire, date of hire and whether or not any other pieces of equipment are being hired for the same event, etc. Although we are based in the South East, we will travel anywhere to do an event. However, if it is very far from our base, the price will reflect this. Primarily our Foosball Table attends events held in East Sussex, West Sussex, Surrey, Kent, Essex, Berkshire, Hampshire, Hertfordshire, Buckinghamshire and London. Please contact us for further information if this is something that you would be interested in.